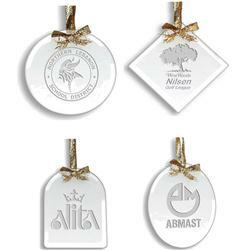 Custom Jade Glass Ornaments with a custom deep etched imprint. 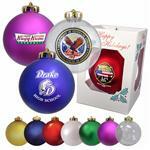 These high end ornaments are great as an executive or employee appreciation gift. ON SPECIAL! Available Imprint Options: Deep Etching. Custom Glow(R) - We have combined the beauty of our Custom Glow(R) process with the latest in laser technology to create a full line of unique and colorful designs. You may add Custom Glow(R) to most etched awards and giftware items. 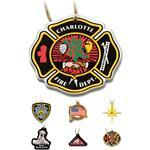 Follow the ordering guide to easily create a full color award - these are priced "per piece"
Approx. 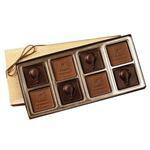 40 pounds per 36 pieces.